This post has been long over-due! Thanks for being so patient,Ami! We went through a phase in our house,where we were tired of eating the same vegetables-cabbage,cauliflower,beans,carrot,capsicums..and I wanted to bring new vegetables to the dinner table. When I mentioned Zuchini,the husband wasn’t too enthused ..the daughter couldn’t care less..So,I had to make it fun.What is more fun than a cutlet. So,here’s what I came up with. Soak Mung in warm water for 1 hour. Then cook the moong with sufficient water in an open pan,till the Mung become tender and the water dries up.If there is excess water,drain it.Mash it to a pulp and let it cool. Heat oil in a pan and fry onions in it,till they start to brown.Add the grated zucchini and fry for a minute or two. Add the fried onion-zucchini mix, the spices and chopped green chilies and chopped corriander leaves to this mix. knead well. Divide the mixture into balls of equal size. 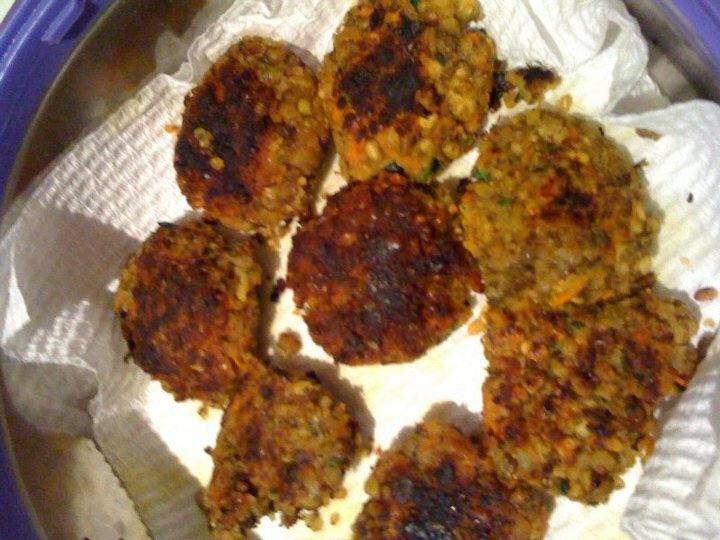 Flatten the balls and coat with bread crumbs and pan fry on medium heat,till crispy. I served these as it is with tea and then, as Pita wraps for dinner. Green chutney or any sauce of your choice-hummus,tahini,garlic sauce..whichever you like. Cut the pita from the middle,so that you have two pita-pockets. 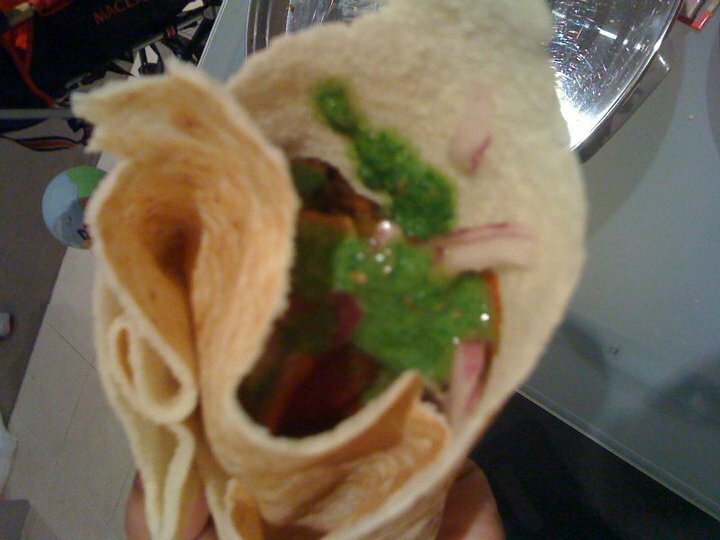 Stuff the pocket with salad,cutlets,generous helping of sauce-Wrap it up..Dig in!! !